Do you have a favorite day of the year? I do. It's today. October is a pretty cool month anyway because it is Fall (one of my top 4 favorite seaons), its football time, its Oktoberfest time, the temperatures are dropping so I don't look quite so kookoo for wearing turtlenecks everywhere I go and there are some very fun birthdays and anniversaries that we celebrate during this month. But even more than that there are three main reasons that I love October 4. 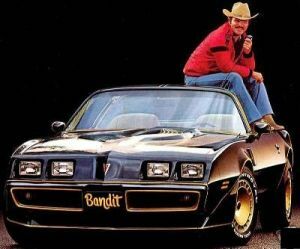 My formative years (high school) were in the late 70's - the big movie series back in the day was Smokey and the Bandit with Burt Reynolds and they always talked back and forth with the truckers. They would always sign off " 10-4 Good Buddy! " In the early 80's my mom and I drove across the US and took a CB radio with us and talked with truckers along the way - it was dangerous because we would get laughing so hard we almost had to pull over several times. Later 80's my sweetheart gave me his Beta Theta Pi pin on October 4. Bonus reason: Just after the millenium I passed the Outdoor Emergency Care exam and became a certified ski instructor and had to go back to my CB call numbers all over again. 10 - 4 means YES affirmative everything is OK.
10/4 is the day I celebrate my hubby and my friends and that, working together with them, I know everything is going to be OK. So, when your sweetheart gave you his pin, didnyoi say "10/4 Good Buddy"?